Try not to be too sad, dears, but another beautiful Montreal summer is coming to an end. However, we still have some beautiful sunny days to look forward to, and some seasonal rewards for you! 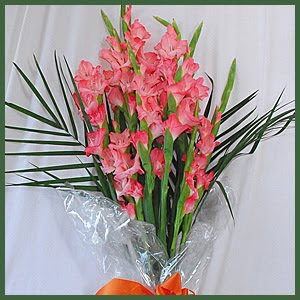 The first of which is an amazing savings on our gorgeous gladioli. We're offering a bouquet of 10 for just $19. They are striking, tall flowers that look great in a vase or a more rustic container. They look so elegant on their own, in single or multicolour (and what a variety of shades they come in!). Next up: The Flower Pot has been carrying custom photo products for years, but we're really excited about our expanded line of canvases, acrylic prints, and aluminum prints. That's three completely different looks to show off any photo you choose!